The relative new dark elixir troops are expensive to train but can be very powerful. They can be ground troops or flying troops. Some with the same charistics as the normal troops and some with new features like the witch that spawns skeletons or the lava hound that will spawn small lave pups when destroyed. 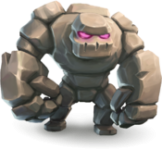 The dark elixir troops are upgraded in the laboratory and the upgrades will cost dark elixir.